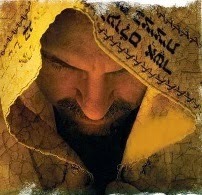 The Coming of the Messiah | Tikkun Time. Yeschua’s (Jesu’) Stammbaum – Tschüss Jungferngeburt! Which Messiah Do You Follow? / Welchem Messias folgst Du? Who is Jesus? The Son of God or God the Son? Deity of Messiah Debate – Is Jesus God? Was Jesus the Founder of Christianity? Was the Apostle Paul the First Christian? Paranoid? Or: Who is Ruling this World? WHO is planning to kill us? Repent and return to Hashem (God)! This video is not only for AM Israel and for the Jews, but also for “kol goyim” – all the nations! Copied from YouTube: Published on Dec 22, 2015: Finally we have one of the the most prestige movies about the World’s Mafia and Mashiach ben David and how it all folds up with The End Of Days. Tractate Yoma 10: Mashiach ben David will show up only after the Roman Kingdom will rule over the world for nine months. Which means, the main inhibitor to the complete redemption, is not “Ishmael”, the Islamic world, as we all may think, but rather “Esav” (Esau). Esav, according to our Sages, is Edom, Rome, the Christian/Western world of today. Ovadia (Obadja) 1:21: “… and saviors shall go on Mount Zion to judge the mountain of Esav, and the kingdom shall be onto Hashem.” Only after the kingdom of Esav will be perish, only then, would the kingdom of Hashem be complete. Topics in the video (sequentially listed): Rabbi Jonathan Eybeschütz, (07:30) 1st Intifada, (08:00) Tower of Bavel (Babylon), (09:30) NWO (New World Order), (10:15) Obama Change, George Bush, (11:00) US Dollar, Novus Ordo Seclorum, (12:15) Georgia Guide Stones, The Ten Commandments of the NOW, (13:10) Vatican, Jesuits, (14:45) Jesus was not a Christian, Ticket to Heaven, (16:00) Greener World, (18:30) U.N. Army, Osama bin Laden trained by FBI, (21:30) Vatican – the head of the Pyramid, (22:15) Mainstream Media, The Power of the Media, (22:45) U.S. 18 Trillion Dollars Debt, (25:40) FEMA Camps, (28.00) The Pope in the U.s. (Sept. 2015), (30:00) The End of Days, No one to rely on except on God, (31:00) Refugees in Europe, (32:00) One World Religion, (32:30) Economic Collapse, (33:20) Israel the safest place, (34:00) Schechina Divine Presence, Evil Force, (34:20) Jerusalem the source of prosperity of the world, Edom will fall apart, (36:00) Mashiach to come. Psalm 2:1-4, Gog and Magog, Ezechiel 38, (39:00) Choose life, who chooses the spiritual life of Torah, (40:50) Exodus of Egypt, (42:00) USA vs. Esav, 2/3 or world population will die, (2:40) Goyim (the nations) also under the magnifying glass, Daniel 12:10, Selection at the end of the days, Zech.13:8-9 Purification, (45:00) Tractate Baba Bathra, Moishele the autistic boy, Messages from Heaven, Come back to Hashem! Yoel 3:5, Isa.4:3. Published on Nov 26, 2015: מה מסתתר מאחורי דאעש — מיועד לכל יהודי התפוצות — להעביר הלאה דחוף!!! מסר חד ונוקב לכל יהודי העולם — אתם בסכנה גדולה!!! Please report broken links to TMRelay (@) gmx.ch. Thank you. Bitte ungültige Links an TMRelay (@) gmx.ch melden. Danke. Xaver Riedmüller on Kirche Ade! Bye-Bye Church!